The big event has been settled! 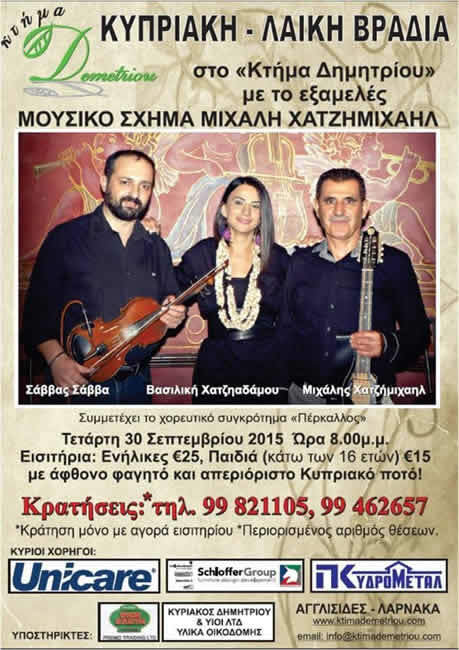 The estate Demetriou receives the six-member band of Michalis Hatzimichael, with Michael Hatzimichael, Hatziadamou Basilica, Savvas Savva etc. 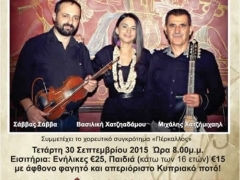 Wednesday, September 30 at 8 pm, a Cyprus - Folk evening will be unforgettable !! !